For other people with the same name, see Donald Williamson (disambiguation). Donald J. Williamson (February 2, 1934 – April 2, 2019) was an American businessman and politician in Flint, Michigan, who served as mayor of the city from 2003 to 2009. He was married to Patsy Lou Williamson, who owns several car dealerships in the Flint area. He was chairman of The Colonel's International, Inc., which manages two raceways. Williamson was born and raised in Flint, Michigan. He married Patsy Lou, and together they managed a growing number of car dealerships. Non-sufficient funds (NSF) is a term used in the banking industry to indicate that a cheque cannot be honored because insufficient funds are available in the account on which the instrument was drawn. An NSF check is often referred to as a bad check, dishonored check, bounced check, cold check, rubber check, returned item, or hot check. In England and Wales and Australia, such checks are typically returned marked "Refer to Drawer", an instruction to contact the person issuing the check for an explanation as to why the check was not honored. Brainerd International Raceway is a road course, and dragstrip racing complex northwest of the city of Brainerd, Minnesota. The complex has a 0.25-mile (0.402 km) dragstrip, and overlapping 2.5-mile (4.023 km) and 3.1-mile (4.989 km) road courses. The complex also includes a kart track. The raceway hosts the National Hot Rod Association's Lucas Oil Nationals. It is a popular racetrack for the Trans Am Series. The spectator seating capacity of the circuit is 20,000. Woodrow Stanley, a Democratic Party politician, is a former member of the Michigan House of Representatives from the 34th District. He was a former mayor of Flint, until he was recalled from office in 2002. Floyd Clack is a Michigan educator and politician who currently serves as a member of the Eastern Michigan University (EMU)board of regents. Among other offices he has served as a member of the Michigan House of Representatives. Dayne Walling is an American politician who was the mayor of Flint, Michigan from 2009 to 2015. Although the Flint mayor's office is a nonpartisan position, Walling is a member of the Democratic Party. Williamson appointed Darryl Buchanan, a city councilman, as the City Administrator after his second term election. At present, the city is in a $9 million deficit, much of it due to the various lawsuits against Don Williamson. Swartz Creek is a city in Genesee County in the U.S. state of Michigan. The population was 5,758 at the 2010 census. The city is a suburb of Flint and has incorporated land formerly within Flint Charter Township, Gaines Township, and Clayton Township, but is administratively autonomous from all three. The University of Michigan–Flint is a public university in Flint, Michigan. It is one of the two University of Michigan satellite campuses. Bishop International Airport is a commercial and general aviation airport located in Flint, Michigan. It is named after banker and General Motors board member Arthur Giles Bishop, who donated 220 acres of his farmland for the airport in 1928. The third busiest airport in Michigan after Detroit and Grand Rapids, it surpassed competitor MBS International Airport in terms of airline operations in 2002. In 2007, 1,071,238 passengers used Bishop International Airport; in 2011, 938,914 passengers used the airport. It is included in the Federal Aviation Administration (FAA) National Plan of Integrated Airport Systems for 2017–2021, in which it is categorized as a small hub primary commercial service facility. The airport is currently served by several passenger airlines: Allegiant Air and Delta Air Lines operate mainline service out of the airport, and regional services are provided by affiliates of Delta Connection, United Express and American Eagle. Additionally, FedEx Express and a FedEx Feeder affiliate operate cargo services out of the airport. Accompanying the airlines is fixed-base operator Av Flight that handles both general aviation and airline operations and the flight school American Wings Aviation. It is in southwestern Flint, and is surrounded by Flint Township to the north, east and west; and Mundy Township to the south. Booth Newspapers, or Booth Michigan, was a media company based in Grand Rapids, Michigan. Booth owned eight newspapers in the state of Michigan. Founded by George Gough Booth with his two brothers, Booth Newspapers was sold to Advance Publications, which purchased it in 1976 for $305 million, a record at the time. WJRT-TV is an ABC-affiliated television station licensed to Flint, Michigan, United States and serving the Flint/Tri-Cities television market. Its studios are located on Lapeer Road in Flint, with offices and a second newsroom for the Tri-Cities located in Saginaw. Owned by Gray Television, WJRT-TV broadcasts a high definition digital signal on virtual and VHF channel 12 from a transmitter located on Burt Road in Albee Township, Michigan. On cable, the station is carried on Comcast Xfinity channel 7 and on Charter Spectrum channel 11. Darnell Earley is an American public administrator and municipal manager. Formerly the city manager of Saginaw, Michigan and emergency manager of Flint, Michigan, Earley served as temporary mayor of Flint after the recall of Woodrow Stanley. Earley was appointed emergency manager of the Detroit Public Schools system in January 2015. He resigned that position in February 2016. James W. Rutherford was a mayor of the City of Flint, Michigan serving as the first "strong" mayor elected under Flint's 1974 charter. Rutherford served for two terms. Rutherford was elected as a caretaker mayor after the recall of Mayor Stanley was recalled and an Emergency Financial Manager, Ed Kurtz, was appointed by the state. The City of Flint has operated under at least four charters. The City is currently run under its 1974 charter that gives the city a Strong Mayor form of government. It is also instituted the appointed independent office of Ombudsman, while the city clerk is solely appointed by the City Council. The City Council is composed of members elected from the city's nine wards. Michael Brown is the former city administrator and former emergency manager of Flint, Michigan, US. He also served as temporary mayor and city administrator of Flint after the resignation of Don Williamson. Darryl E. Buchanan is a politician, former City Administrator and City Ombudsman of the City of Flint, Michigan. James Ananich is a politician from the State of Michigan. He is a Democratic Party member of the Michigan State Senate representing the 27th District, which is located in Genesee County and includes the cities Burton, Clio, Flint, Mount Morris and Swartz Creek and the townships of Flint Township, Forest, Genesee, Mount Morris, Richfield, Thetford and Vienna. Peggy R. Cook was a politician in Flint, Michigan. 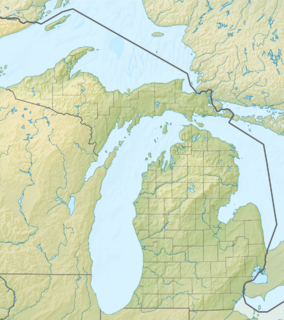 The Flint water crisis began in 2014, after the drinking water source for the city of Flint, Michigan was changed from Lake Huron and the Detroit River to a less costly source of the Flint River. Due to insufficient water treatment, lead leached from water pipes into the drinking water, exposing over 100,000 residents to elevated lead levels. Karen Williams Weaver is an American politician, clinical psychologist, and small business owner who has been the mayor of Flint, Michigan since November 9, 2015. She succeeded Dayne Walling, whom she defeated in a November 2015 election. She is the first female mayor of the city. Joe Conroy is a Democratic former member of both houses of the Michigan Legislature, representing parts of Genesee County for two decades. On June 21, 2017, airport police Lt. Jeff Neville was stabbed in the neck at Bishop International Airport in the city of Flint, Michigan, in the United States. The man, Amor Ftouhi, reportedly yelled "Allahu akbar" during the attack and was travelling on a Canadian passport. Bomb sniffing dogs searched the evacuated airport, finding nothing. He was charged with violence at an international airport and interfering with airport security. He was later charged with committing an act of terrorism transcending national boundaries. Found guilty of all three charges in November 2018, he is set for sentencing in April 2019. 1 2 Mary Ann Chick Whiteside (May 2007). "Don Williamson | MLive.com". Blog.mlive.com (Flint Journal. Retrieved 2012-04-26. ↑ . he sold Brainerd International Raceway to Jed & Kristi Copham in 2006. "Brainerd Int'l Raceway Hosts Memorial Day Carnival and Drag Races"
↑ Raymer, Marjory (2007-08-09). "Two white candidates make history". Flint Journal . Flint, Michigan: Booth Newspapers . Retrieved 2009-01-06. 1 2 Marjory Raymer (November 2007). "Walling, Williamson start final push". Blog.mlive.com Flint Journal. Retrieved 2012-04-26. ↑ "Flint Mayor Don Wiliamson appoints longtime community leader Mike Brown as new city administrator to replace Darryl Buchanan". Flint Journal. April 19, 2009. Retrieved May 6, 2009. ↑ Flint Journal photo (February 2008). "Flint Mayor Don Williamson sues Flint City Clerk Inez Brown". Blog.mlive.com Flint Journal. Retrieved 2012-04-26. ↑ Julie Morrison. "Residents, officials dispute study that labels Flint third most dangerous city | MLive.com". Blog.mlive.com. Retrieved 2012-04-26. ↑ "Mayor of Flint, Michigan resigns for health reasons". Wikinews. WikiMedia Foundation. February 11, 2009. Retrieved 2009-05-06. ↑ "Flint Mayor Don Williamson resigns". Flint Journal . Flint, Michigan: Booth Newspapers. February 9, 2009. Retrieved February 9, 2009. ↑ "Former Flint Mayor Don Williamson passes away". WJRT-TV. April 2, 2019. Retrieved April 2, 2019.